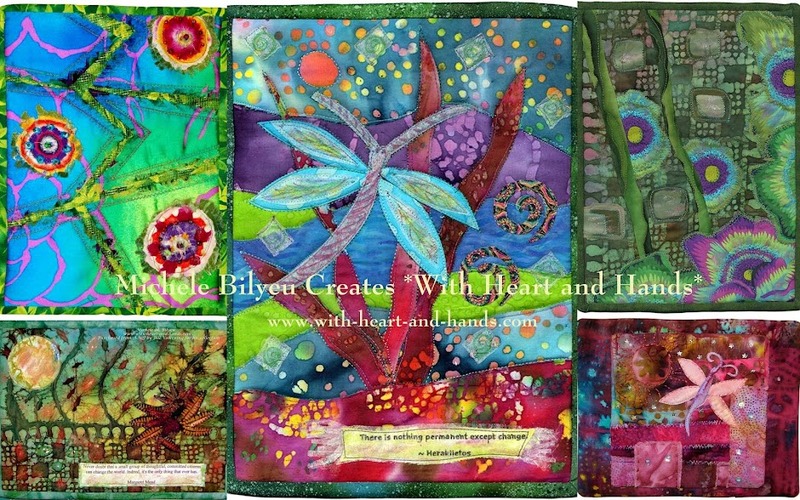 Michele Bilyeu Creates *With Heart and Hands*: Fun But Frenzied Frugality: Sewing Kuspuks Again! All week, I have been using my 'free' time to work at Gastineau Elementary School with my sister-in-law's 2nd grade classroom. For the second year in a row, we have been Making Kuspuks ! 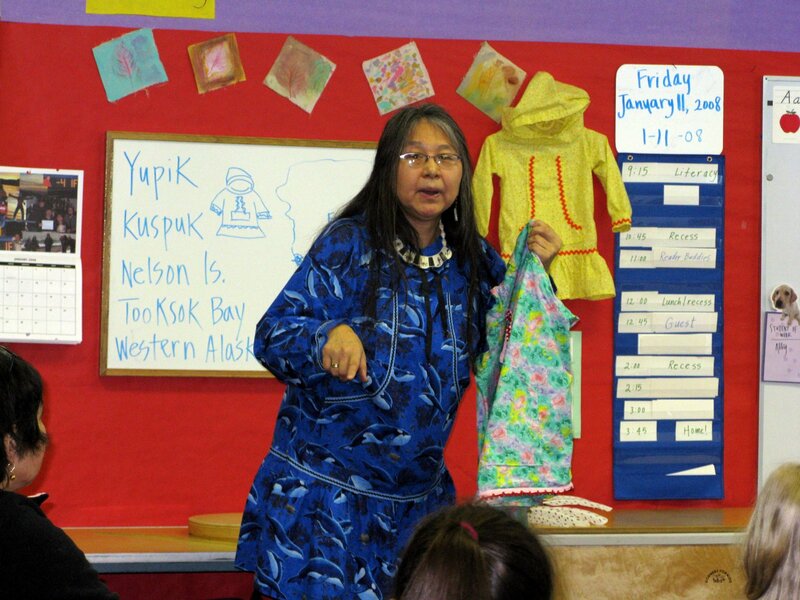 A kuspuk is a traditional native Alaskan garment, usually made of cotton fabric that is worn over a fur parka in the winter, and as an outdoor garment in the summer...over pants, leggings or jeans. Creating a kuspuk (alternate spellings: quaspeg, qaspeg, quspug...all pronounced 'cuss-puck') in the original native Y'upik way, involves simply measuring the body from armpit to armpit (across the rounding of the chest) and ripping off this width. Using this piece, it is then measured from neck to hem length and ripped that off to size. What was forgotten was our concept of 'ease'...that little extra that allows for a rounded belly or to pull a garment over extra layers of clothing...and this is where adjustments need to be made. So as we continue to rip out measurements, a sleeve is also measured by simply ripping sleeve lengths by arm widths, plus a little extra for ease . And hood lengths and widths by ripping fabric to the sizing of the head. For the girls we also add a skirt section...similar to a deep ruffle...which is double the width of the body. For a final finish, we add a specially shaped pocket section. And while girls are given decorative trim and bright calico prints, the boys traditionally wear solid garments without the braid or rickrack trim, so that is always taken into consideration, as well. 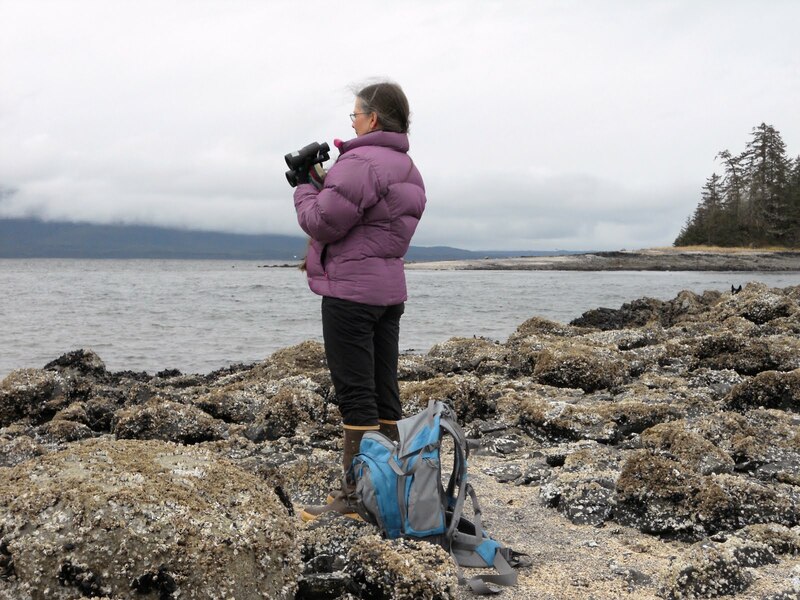 This year, the ripping of the fabric took place before I arrived in Alaska from my current home in Salem, Oregon. 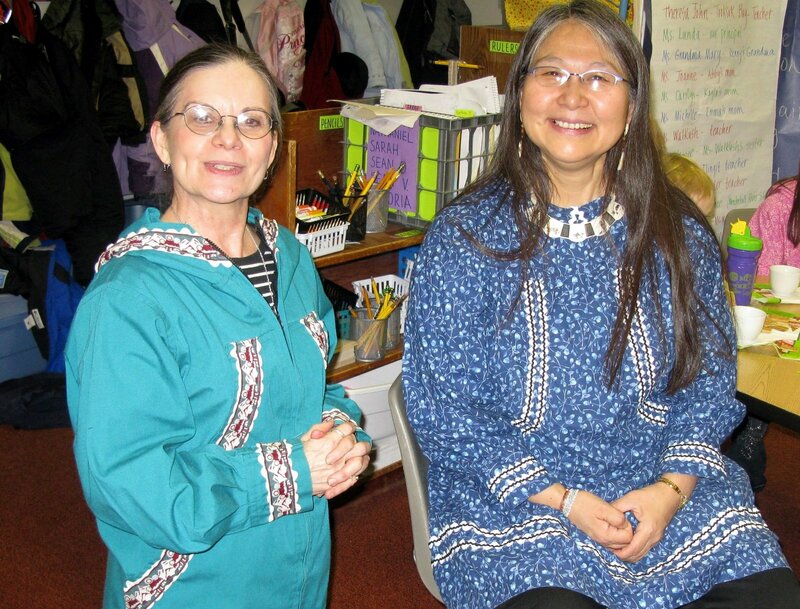 And without Theresa, our native culture bearer instructor, the ripping and tearing has been done completely by volunteer helpers doing their best...and as we all know that is not always easy with new experiences...especially sewing! As a result, I am now attempting to pull out 'altered' memories involving adjustments, alterations and yes...gulp!...gussets. Since my sister-in-law (2nd grade teacher, Paula Savikko) has been paying for materials out of pocket, we have been trying to be extremely frugal with all alterations. We sort through our leftover fabric bin, desperately hoping for a 'bigger piece' but often accepting much smaller ones and sewing them together in sections to increase our width or lengths. While an adult kuspuk takes about 3 yards of fabric, a kuspuk for one student requires a minimum of a yard and a half of fabric ...adding another 3/4 yd for a girls ruffle like shirt. And while the fabric is also purchased using approximations of amount needed...we often have either too much of one fabric and not nearly enough of others! We have 20 students in the class, so fabric expenses add up in a hurry! We have been trying to make garments larger by simply adding sections as required to sides, sleeves or hoods. And yes, sometimes we do have to start over. With each kuspuk still taking about 4 hours to create...with children pinning, unpinning, raising and lowering pressure feet and if their are conscientious...being allowed to put 'pedal to the metal' as well. They are surprisingly adept...even at 7 and 8 years old! 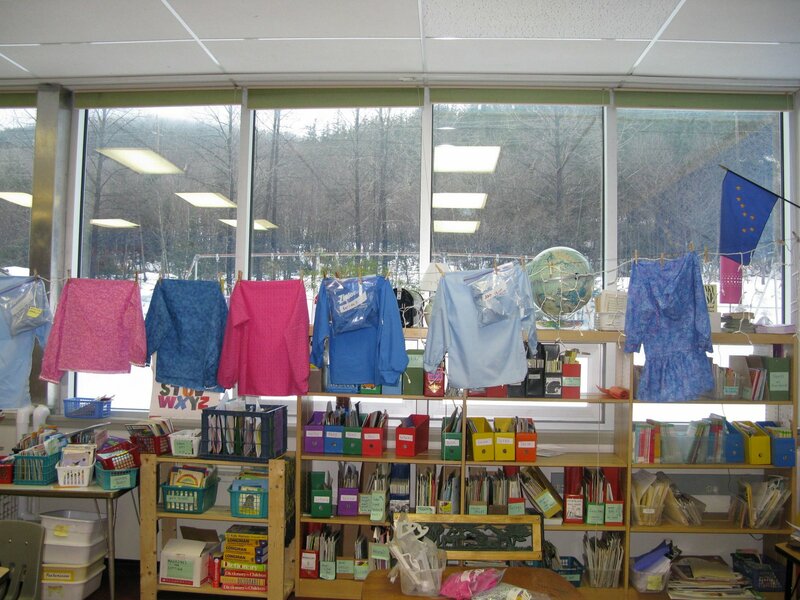 We are literally creating multi-altered perhaps even 'scrappy' kuspuks and in that process not only learning thrifty frugality of our own use of materials...but modeling that behavior to the children that we are sewing with! As each child comes back to our two 'dualing" sewing machines, and the hum and the whirrs of our motors join in with the cadence of our piecing and pinning...we are in such a symphony of learning new patience under pressure! As I sewed with the children from 1:00 -4:00 yesterday, then ran home to cook a pork chop dinner for my parents, give an insulin shot and lots of hugs, then quickly returned to sew (without the school children but with the darling tag-alongs of mom/sewers) I remembered my roots in clothing construction and costuming....and I also remembered the challenges of making alterations! Piecing stimulates centers of the brain, often left unused and unresponsive during ordinary days. Once operating again, it often runs amok with so many bits and pieces, that a simple garment begins to look like a road map of the energy of that day. But how wonderful to know that I can still used those less used mental abilities, save money, have fun, and join in the creative flow with others of like hearts and hands...all working together in frenzied, yet frugal finishes. It may take sewing everyday at school for another week, but we will get it done! And yes, the possibility exists that our own pieces may mirror those of the garments...but therein lies the challenge, the journey and the fun!!! 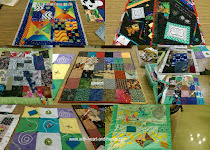 Frugal Friday sewing club:) links to my other Friday fun with Finn, Paula, Shasta and others!